Watch out paddle surfers! 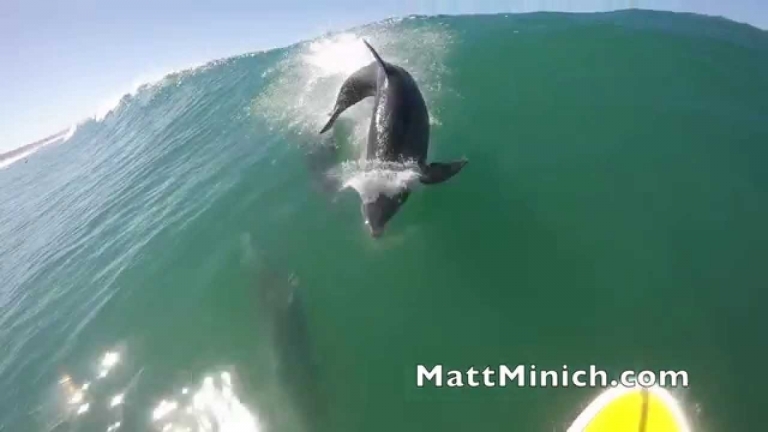 You think dolphins are awesome? Yes they are! And they will take you down if you don't watch where you're paddling!